Chinook Park is situated south of 75 Avenue South and north of Heritage Drive. Chinook Park real estate includes detached homes and some condos. Nearby communities that are similar to Chinook Park are Haysboro, Kingsland and Kelvin Grove. With more secluded streets, Eagle Ridge (which is across 14 Street West) offers different styles of housing. Chinook Park’s quiet streets are easily accessed from all sides of the community. The neighbourhood features quick access to throughout Calgary, including downtown via Elbow Drive and Macleod Trail. 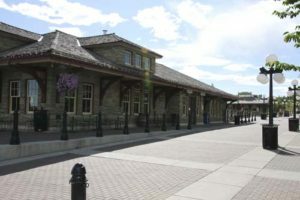 Many Calgary Transit buses serve the community and Heritage LRT station is a short distance away. There are a variety of schools for all ages within and nearby Chinook Park. Chinook Park School serves elementary ages and Henry Wise Wood School serves high school grades. Along with Kelvin Grove and Eagle Ridge, there is an active community association that has events, programming and hall rentals. There are pathways within the community that connect crescents for pedestrians and cyclists, and the pathways meet up with the Glenmore Reservoir and Heritage Park. A variety of shopping centres, amenities and services surround Chinook Park. Macleod Trail is lined with shopping and services, and Chinook Centre Mall is close by. All important amenities are nearby. To learn more about Chinook Park, send us a message. And be sure to view all current Chinook Park real estate listings above.